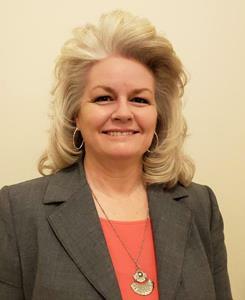 PITTSBURGH, April 02, 2019 (GLOBE NEWSWIRE) -- DATAMARK, a team of public safety geographic information services (GIS) experts and the go-to authority on GIS solutions and services for public safety, today welcomes Sandy Dyre, a veteran in the public safety sector with a wealth of experience in 9-1-1 and Next Generation 9-1-1 (NG9-1-1) program development and services. Dyre will support customers on a local and national level in her new role as a DATAMARK Senior Public Safety Subject-Matter Expert (SME). In addition to leading a team of public safety experts to educate, advocate and problem solve with clients in the central United States region, she will be an advocate for 9-1-1 enhancement through participation in standard committees and focus groups. Dyre’s team will consult with clients and leverage DATAMARK’s suite of public safety GIS products and services to evaluate GIS data needs, support current E9-1-1 systems and aid in the transition to NG9-1-1. Sandy Dyre will support customers on a local and national level in her new role as a DATAMARK Senior Public Safety Subject-Matter Expert (SME). In addition to leading a team of public safety experts to educate, advocate and problem solve with clients in the central United States region, she will be an advocate for 9-1-1 enhancement through participation in standard committees and focus groups. Dyre’s team will consult with clients and leverage DATAMARK’s suite of public safety GIS products and services to evaluate GIS data needs, support current E9-1-1 systems and aid in the transition to NG9-1-1. Throughout her numerous positions spanning two decades, Dyre has worked to develop partnerships to advance 9-1-1 services throughout the state of Arizona on behalf of local and statewide entities. Prior to joining DATAMARK, as Project Manager for the State of Arizona 9-1-1 Program Office, Dyre was responsible for 9-1-1 architectural initiatives addressing system and network design and implementation, project management duties for NG9-1-1, GIS and the Master Street Address Guide (MSAG) 9-1-1 addressing databases and law enforcement, and fire and emergency medical Public Safety Answering Point (PSAP) operations and training. Previous positions include 9-1-1 administrator/MSAG coordinator and public safety communications dispatcher/supervisor at the Pinal County Sheriff’s Office and public safety dispatcher for the Mesa Police Department. Dyre’s management and leadership credentials are reflected in her professional certifications. She is a certified Emergency Number Professional (ENP) from the National Emergency Number Association, has met the requirements for a “Fundamentals of Government Leadership” Certificate from the University of Arizona, and a Certified Public Manager at Arizona State University, and received a Public Administration Certificate of Completion from Rio Salado College. DATAMARK, the GIS business of Michael Baker International, is the go-to authority on GIS solutions and services for public safety. Its data-forward, purpose-built NG9-1-1 solutions provide the highest levels of public safety GIS data completeness and accuracy. DATAMARK’s VEP SaaS solution ensures easy and consistently dependable access to mission-critical information in life-critical situations, simplifying the transition to NG9-1-1 for addressing authorities, and GIS and PSAP stakeholders. Because it works with existing public safety systems, the solution requires no additional investment in hardware or software. The company empowers its team and stakeholder partners to foster trusted relationships and cultivate data integrity for informed decision making, all leading to safer communities. Visit www.datamarkgis.com and follow on Twitter and LinkedIn. Michael Baker International is a leading provider of engineering and consulting services, including design, planning, architectural, environmental, construction and program management. The company provides its comprehensive range of services and solutions to support U.S. federal, state, and municipal governments, foreign allied governments, and a wide range of commercial clients. Michael Baker’s more than 3,000 employees across nearly 100 locations are committed to a culture of innovation, collaboration and technological advancement to help solve challenges for clients and communities throughout the country. Visit www.mbakerintl.com.